Everyone who is affected by the notorious phenomenon of having a sweet tooth now and then should probably stop reading at his point in order to avoid succumbing to a hardly resistable temptation. For today’s “Spirit” comes with a dark, heavy and viscous sweetness that will very likely let you forget that you’re dealing with a spirit and not some kind of liquid dessert. The Ron Botucal Reserva Exclusiva is a high quality rum, which might convince many skeptics to finally give rum another chance. It really is a smooth revelation. The Ron Botucal Reserva Exclusiva is a blend of different rums, of which the oldest were allowed to mature in oak barrels for up to 12 years. In contrast to Whisk(e)y, which by EU regulations (and other regulations outside of the European Union) may only specify a maturing age on the label if it is the minimum age of the youngest (!) spirit used in the final product, the indications of age on rum bottles are somewhat less meaningful. It simply means that the blend consists partly of different rums of the respective ages. Only when dealing with single barrel bottlings one has more reliable information here. 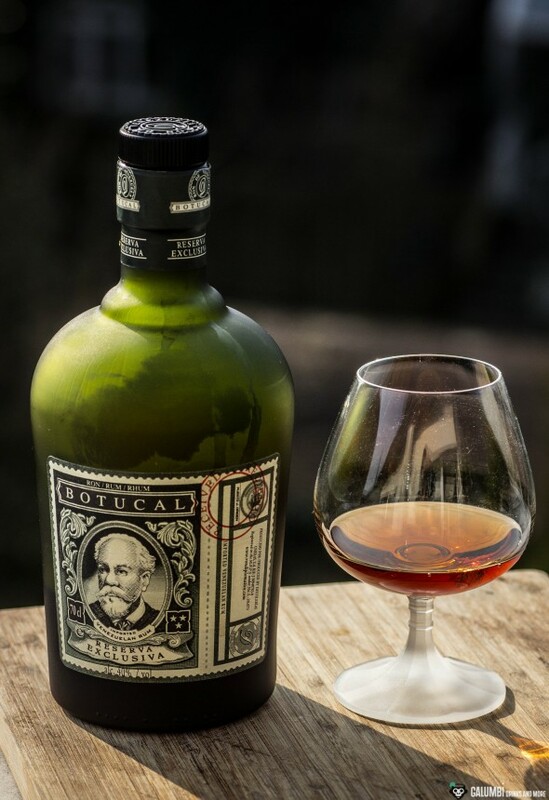 The Ron Botucal Reserva Exclusiva is distilled and bottled in Venezuela where it is blended from two different kinds of rum: The greater part consists of molasses-rum with a very high sugar content, while the smaller part consists of rum made from sugar cane honey. The Ron Reserva Botucal Exlclusiva also comes in a very nice and toned bottle, so you certainly do not have to hide it in your cabinet. Buying Sources: You can find the Ron Botucal Reserva Exclusiva in many well-sorted liqueur stores, in e-stores of course or even in big supermarkets with a considerable liqueur section. It’s available for round about 30€ to 35€. This entry was tagged Chocolate Sauce, Rum, Venezuela.